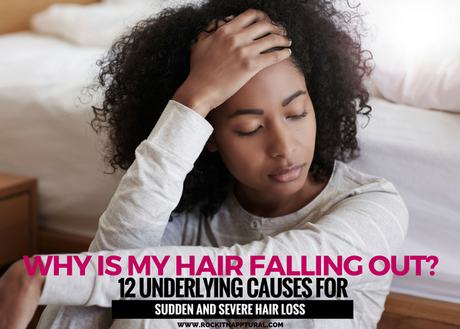 Thinning hair and breakage is very common in women. Males tend to suffer more from hair loss and male-pattern baldness, but hair loss is a reality for many women. When dealing with excessive hair loss, thinning hair and even bald spots, the unexplained can be scary. on the brighter side, most hair loss is completely avoidable and treatable. Losing your hair whether you're male or female can be stressful, but the question is why does it occur. Let's take a look at some of the major factors that can contribute to hair loss. Sulfates can be very harsh on natural hair. Shampooing regularly with sulfate shampoos can be drying to your hair and lead to breakage. Use a sulfate-free moisturizing shampoo instead such as OGX Nourishing Coconut Milk shampoo and Shea Moisture Raw Shea Butter moisture retention shampoo. Thinning hair and premature hair loss can sometimes be a part of your genetic makeup. If you have family members who also suffer from hair loss, premature balding or thinning hair then it could be a matter of the genes.Consult with your dermatologist for alternatives. A poor diet can in fact lead to hair loss. Eating foods high in fat and sugars can throw your body into a whirlwind. Not drinking enough water can also cause a lack of hydration in the hair and eventually lead to breakage. Over manipulation of the hair can cause stress to your strands and cause thinning. Excessive pulling can also cause bald spots from wearing tightly pulled ponytails and other styles. Your hair should never be so tight that is causes a headache or discomfort. Wear loser styles and take a break in between wearing protective styles to prevent unnecessary breakage. Using the wrong hair tools such as combs with teeth that snag, broken bobby pins and hair bands that tangle your hair can cause a severe amount of breakage and hair loss. Your hair accessories should never snag your hair. Throw out any hair combs or pins that are damaged or frayed and can snag your hair. Adding constant heat to your hair is a sure way to ensure damage to your natural hair. Heat styling isn't a bad thing, but exposing your hair on a regular basis can lead to heat damage, dry hair and excessive breakage. Before heat styling be sure to take precautions against damage such s detangling properly, using a thermal protestant and styling on lower heat settings can help prevent breakage and excessive hair fall. There are some common medical conditions that are known to cause thinning hair and hair loss. 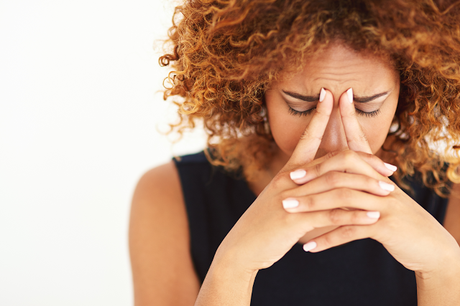 Medical conditions such as hyperthyroidism, lupus, eczema, dermatitis, ringworm, sebhorrehic dermatitis, alopecia, anemia, PCOS, and several other conditions are commonly known to show hair loss as a side effect. Some medications used for treating various ailments can cause what is known as drug-induced hair loss. Medications used to treat heart problems, high blood pressure, arthritis, depression and those drugs used to treat cancer can have been noted for their ability to wreak havoc on the hair growth cycle. The good news is that drug-induced hair loss can reverse itself once the mediation in question is stopped. Chemical hair coloring systems (primarily those at-home coloring kits) are filled with harsh chemicals and synthetics that can really damage your hair. The lighter you color, the more prone your hair is to damage. Your hair will require more moisture and TLC than before. Coloring your hair a lighter color may leave your hair dry and brittle if not properly maintained. Severe breakage is the main type of hair loss seen in color treated hair. As hair is mostly made of protein, eating foods that are rich in essential amounts of protein is something that is considered to be essential to growing stronger hair. When the body is deficient in protein it can lead to thinning hair, excessive breakage and hair loss. Protein doesn't necessarily have to come from an animal source. There are many plant sources that can give you a boost in protein. Many women have reported thicker, faster hair growth during pregnancy. It is after giving birth that women have reported a sudden and drastic pattern of hair loss. This is referred to as postpartum hair loss and it is usually experienced between 3-6 after childbirth. Because of the increase in hormones during pregnancy, women don't tend to shed the 100+ hairs like they normally would. Once the mom has given birth and the hormones return to their normal readings so does the hair shed. Hormonal changes such as menopause have also been linked to sudden hair loss.